Fernie Ski Resort Mountain Guide. Fernie receives up to 37 feet of snow each season, has some 2,500 acres of skiable terrain, 142 named runs and five natural alpine bowls. All nestled under the majestic limestone cliffs of the Lizard Range in the Rocky Mountains of British Columbia. Steep and deep or smooth and gentle, you will love the amazing variety of terrain that Fernie has to offer. The nursery slopes are served by The Mini Moose and Mighty Moose lifts. Once the ski legs are in place, beginners can head for The Deer and Elk Chair lifts, which access wide open pistes; which are pisted daily, well marked and return to base. Warm up on the pistes off the Elk Chair lift, then take the Boomerang Chair for the easiest access to the fabulous Cedar Bowl terrain. Most of the runs in Lizard and Cedar Bowls are marked blue/intermediate. The high speed Timber Bowl Express and White Pass Quad take you up to Timber Bowl and Currie Bowl and don’t forget to call into the Lost Boys Cafe for a Coffee with view. To help you find your way around there is a complimentary Mountain Host Tour departing each day at 9:30 and 1:30pm daily, the base area. 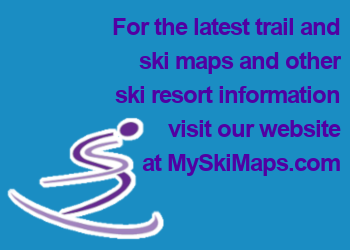 For expert skiers there is an incredible variety of terrain to explore, chutes, glades, steeps, powder, bumps, it's all there! As long as you know where you are going the combination of heavy snowfall, steep terrain and shelter of the trees makes this a superb mountain for expert skiers. The single Black diamond runs are usually pretty challenging, while the Double Black Diamonds are tough and expect to find small trees and alder poking through the snow.